Email management is one of the top issues facing all law firms according to the 2108 ILTA Tech Survey. 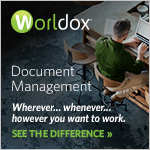 As information governance and security concerns increase, firms require more and more administrative responsibilities from their attorneys, legal secretaries and paralegals to properly file and maintain an official electronic file in a document management system (DMS). Several contributing factors--including human error, overly complex technology, and an inability to file email from mobile devices--have resulted in poor filing rates industry-wide. Managing Partner, Stephanie Southwick, comments: "I want our firm to be on the leading edge of technology-enabled lawyering and meet our savvy, entrepreneurial client-base with unsurpassed efficiency and value. Zero automatically files emails into NetDocuments with greater accuracy than attorneys are able and, in conjunction with a host of additional productivity features, also automatically captures billable time interacting with client email. This was an easy decision--Zero makes our attorneys' lives better while improving compliance, a win-win." Information governance and compliance needs increased rank as two of the top five concerns keeping Chief Legal Officers awake at night, but only about 40% of all emails are being properly filed. At the same time, firms are challenged by administrative work reducing the productivity of professionals better tasked to produce higher value, client-facing work. Zero neatly solves the firm's need to provide superior filing for client compliance and allows attorneys and firm professionals to focus on more valuable outcomes simultaneously - with a simple, consumer quality UI. "This was something so intuitive and straightforward for our pilot group to use, the training time was negligible," adds Stephanie. 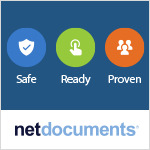 In addition to NetDocuments, Zero also automatically files emails into iManage and OpenText document management systems and includes a set of email productivity tools for lawyers, such as wrong recipient detection, the ability to sort emails by importance, urgency, relevance, sender, by client/matter value and more. Ryan Steadman, CRO at Zero, states: "We're thrilled to have Greenfield Southwick join the growing list of Zero clients and we look forward to a long-term partnership with the firm. Zero has helped the firm realize both tangible and non-tangible benefits by reducing the measurable time drag associated with attorneys filing emails into the firm's NetDocuments platform, and helps attorneys minimize time leakage by seamlessly capturing billable time. The AI-driven narrative capabilities for client-related email activity has also been warmly received by users. Zero spares users the cognitive and administrative disruption that constant filing interruptions and time entries produce during the matter lifecycle. By automating some or all of these tasks, attorneys can focus on their clients' needs, and on creating additional streams of client value elsewhere."